TEHRAN, August 20 - Victim identified by local news media as Muhammad Hussein Ahmad Tnouh, who Israeli forces say tried to stab a soldier. TEHRAN, Young Journalists Club (YJC) - Israeli forces have shot and killed a Palestinian man after he allegedly attempted to stab a soldier at a checkpoint in the occupied West Bank, according to the Israeli military. 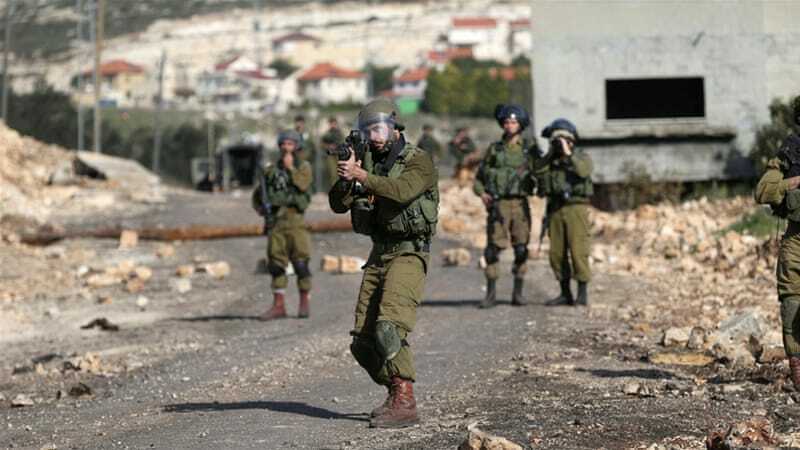 No soldiers were reported wounded in Thursday's incident, which occured in the village of Tuqu, south of Bethlehem. According to Maan news agency, Israeli soldiers "fired four shots towards the Palestinian, while eyewitnesses said that an Israeli military vehicle ran over the man". The Israeli military said in a statement that "an assailant armed with a knife attempted to stab [Israeli] soldiers at a checkpoint in Tekoa. In response to the immediate threat, forces fired shots towards the assailant". Maan said Palestinian medical sources identified the man as 26-year-old Muhammad Hussein Ahmad Tnouh. No soldiers were reported wounded. A Palestinian Red Crescent ambulance was prevented from getting to Tnouh by Israeli soldiers who had blocked off the scene, Maan said. Video from the area shows clashes between Israeli forces and Palestinians at the scene of the incident. According to Maan, Tnouh is the 46th Palestinian killed by Israeli forces or settlers this year. At least 10 Israelis have been killed in the same time period. Since 2015, there have been more than 250 Palestinians killed by Israeli fire, and 42 Israelis killed by Palestinian assailants. Palestinians say the attacks stem from anger over decades of Israeli occupation in territory they claim for their state. A number of local and international human rights groups have raised concerns that Israeli security forces have used excessive force when confronting Palestinians who had carried out attacks or been suspected of doing so.